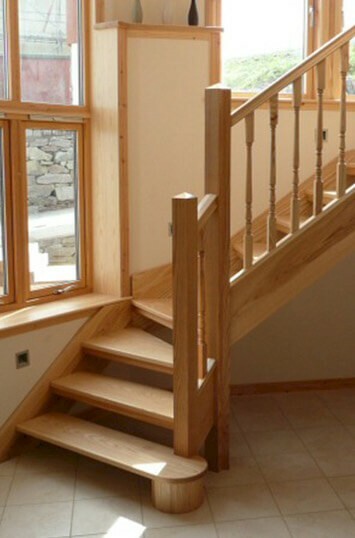 GB Building Centre are manufacturers of quality hardwood windows and doors. These are constructed to the highest quality to withstand the Shetland weather. Our timber windows and doors can be manufactured to cater for the most bespoke requirements by providing our customers with a comprehensive range of design options. Our in-house design ability allows us to design and manufacture any window or door to suit your every requirement, from a traditional door to the most contemporary solution. All of our hardwood windows and doors are made from sustainable hardwood timber. In addition to manufacturing Shetlands widest range of standard doors and windows, we are skilled and experienced in bespoke made to measure windows and doors for conservation areas. We offer a free measure and design service for all of our hardwood windows and doors. For further information and a free no-obligation quotation, please contact us. We can offer various types of glass for your glazed windows and doors. All of the glass we use in our windows and doors, is low energy A to meet current building regulations. GB Building Centre manufactures uPVC Windows, Doors, Conservatories, Porches, French and Patio doors & curtain Walling to the highest standards, all can be individually tailored to the customer’s specific requirements. In addition to manufacturing they provide an installation and re-glazing service to customers, who include the public, private businesses, public bodies, housing associations and local authorities. uPVC Windows are ideally suited to the weather and atmospheric conditions prevalent in the Northern Isles. It is highly efficient material that maximises heat retention resulting in substantial fuel savings. it has complied with the most stringent Scandinavian standards. it is virtually maintenance free due to its high level of corrosion resistance. no detrimental colour changes were experienced during extensive weather testing. We offer a free measure and design service for all of our uPVC windows and doors. For further information and a free no-obligation quotation, please contact us.